At Punctual Abstract we have a Corporate Wellness Program that helps our employees lead healthy, happy lives. One of the best ways to stay healthy is by bringing your workout into your everyday life — by incorporating healthy habits into your routine. Which is why we found this story about walking particularly interesting. And let us start out by saying: No, walking will not be the fitness trend to take 2019. But changing how you walk could actually be a revelation and have a huge impact on your health. 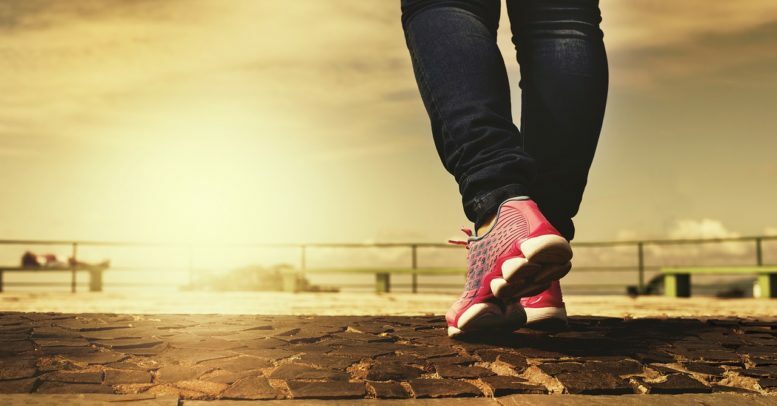 Walking is a surprisingly effective aerobic exercise. It increases endurance, boosts your heart rate, and helps you lose weight. The recommended daily step total is 10,000. That’s about 30 minutes of walking. But, as we said before, all that walking won’t do you much good if your form is off. In fact, it could actually set you back. Here are a few tips to ensure that you get the most from this excellent low-impact aerobic exercise. Though the “heel strike” is often frowned upon (especially among runners) it’s nothing to worry about so long as you roll through your step and make sure to push off your back foot. That gives you the momentum you need to always roll through your front-foot step. More on walking form can be found in this extensive article. Punctual Abstract is more than a national title abstracting company. We are a team that cares about the emotional, mental and physical wellbeing of every team member. That’s why we partnered with Rack City Gym to give our employees easy access to physical trainers and workout equipment. The end result has been healthier, happier employees as well as a huge increase in productivity. To learn more about our Corporate Wellness Program, or if you need help fulfilling your title and abstracting needs, don’t hesitate to call us at 800-588-0046 to speak with our team today.